IMPORTANT NOTICE: Due to a recent increase in the number of children and youth staying with us for rehabilitation, our Overnight and Holiday respite availability is extremely limited. At this time we are only accepting requests for short term (weekend) stays. You are welcome to put you name on our waiting list and we will contact you if a space becomes available but due to the fluctuation of inpatient admissions and discharges, we will only be able to provide very short notice. We sincerely apologize for any inconvenience this may cause. Please consider connecting with www.respiteservices.com or (416)535-8525 for alternate respite options. Holland Bloorview offers a range of overnight and day respite services for children from birth to the age of 18, and in some cases up to age 21. 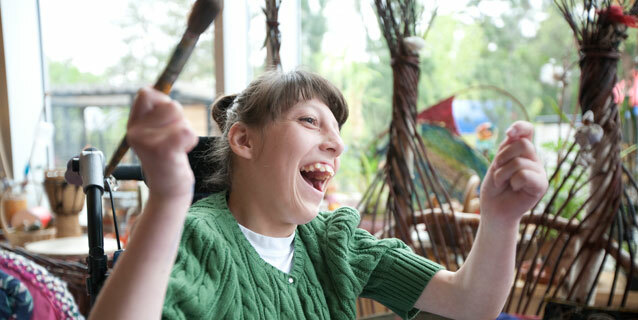 Respite care is a family support service that provides temporary relief from the physical and emotional demands involved in caring for a child with a disability. Is your child approaching or over the age of 18? respiteservices.com helps families of individuals with disabilities to connect with respite options both in and out of home. This is a provincial resource and offers services to children and adults. If you have questions, please call Robyn Sanford at 416-425-6220 ext. 6406. The overnight respite service, offered by our inpatient program, supports families by providing short-term, inpatient care for children with disabilities or complex medical needs. Through Holland Bloorview’s Centre for the Arts, we offer a variety of day respite options. These programs include weekend day respite throughout the year, as well as special programming during March Break, and in the summer to coincide with our Spiral Garden camp program.